Can Exercise Slow Memory Loss and Alzheimer's Onset? Did taking my mother into the gym slow the memory loss caused by Alzheimer's disease? And, did the "real exercise" help her to grow new brain cells. 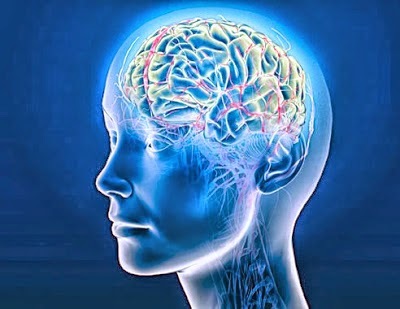 Current research indicates that even when we grow old we can grow new brain nerve cells. This is contradictory to the common myth that once you lose a brain cell you can never get it back. One of the first decisions I ever made in caring for my mother Dotty was to take her into the gym for "real exercise". She went into a gym for the first time when she was 87 years old. In the gym, I had her walking on the treadmill, working out on two weight machines each day, and doing stand up sit down exercises for balance. We went to the gym 5 days a week. The issue. Did taking my mother into the gym slow down the deterioration in her brain caused by Alzheimer's disease? And, did the "real exercise" help her to grow new brain cells. The summary research presented below should be of interest to you. A team of researchers from The University of Nottingham have identified a stress hormone produced during moderate exercise that may protect the brain from memory changes related to the disease. The research team, led by Dr Marie-Christine Pardon in the School of Biomedical Sciences, discovered that the stress hormone CRF — or corticotrophin-releasing factor — may have a protective effect on the brain from the memory changes brought on by Alzheimer’s disease. CRF is associated with producing stress and is found in high levels in people experiencing some forms of anxiety and depressive diseases. Normal levels of CRF, however, are beneficial to the brain, keeping the mental faculties sharp and aiding the survival of nerve cells. Unsurprisingly then, studies have shown that people with Alzheimer’s disease have a reduced level of CRF. The researchers used an experimental drug to prevent the hormone from binding to a brain receptor called CRFR1 in mice with Alzheimer’s disease that were free from memory impairments, therefore blocking the effects of the hormone. They discovered that the mice had an abnormal stress response with reduced anxiety but increased behavioural inhibition when confronted by a stressful situation — in this case being placed in a new environment — and this is was due to the abnormal functioning of the CRFR1. This abnormal stress response before the onset of symptoms may explain why people susceptible to stress are more at risk of developing Alzheimer’s. Does Anesthesia Cause Dementia or Memory Loss in the Elderly? The team found that interrupting the hormone from binding on to the CRFR1 receptor blocked the improvement of memory normally promoted by exercise. However, in mice with Alzheimer’s a repeated regime of moderate exercise restored the normal function of the CRF system allowing its memory enhancing effects. The results are in line with the idea that regular exercise is a means of improving one’s ability to deal with everyday stress in addition to keeping mental abilities keen. The study indicates the switching on of this particular brain receptor during exercise increased the density of synapses, which makes the connection between nerve cells, the loss of which is thought to be responsible for the early memory loss seen in Alzheimer’s patients. “This is the first time that researchers have been able to identify a brain process directly responsible for the beneficial effects of exercise in slowing down the progression of the early memory decline characteristics of Alzheimer’s disease.